The contactless electronic smart key combines the advantages of a traditional mechanical lock with a state-of-the-art electronic solution, with the information exchanged between the key and the cylinder by magnetic induction, rather than by an electrical contact. This allows almost instantaneous opening of the lock and a high reliability of the hardware without disruption by presence of rust, wear or dust. The solution includes a Bluetooth module, which means the mechatronic key communicates with the user’s smartphone, using the MyLocken app. It is capable of offering centralised control and case-by-case, real-time access control, reaching standards of security that are usually only available from on-line access control systems. The system does not require any on-site cabling or batteries for the lock, because the key supplies the cylinder with the energy and the information required to open the lock. In this way, users working on large infrastructures or complex sites with multiple points of access can make do with a single key. The solution is made even more flexible by its purely mechanical component, which can be used to open conventional mechanical cylinders, wherever the two types of locks co-exist within the same system. 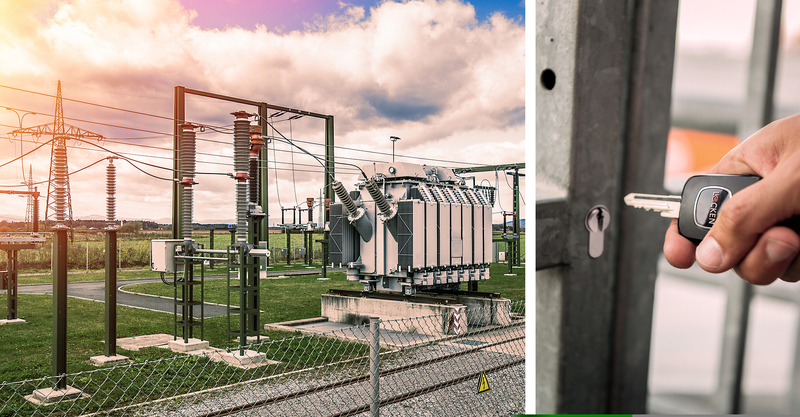 Nick Dooley MD at LOCKEN UK Ltd explains: “This innovative electronic solution will enable the power supply network to support the improvement of health and safety procedures for the power group’s employees and subcontractors and deliver maximum performance to its customers. For further information about LOCKEN, visit www.locken.co.uk, find us on Facebook, Twitter and LinkedIn or telephone 0203 691 1610.